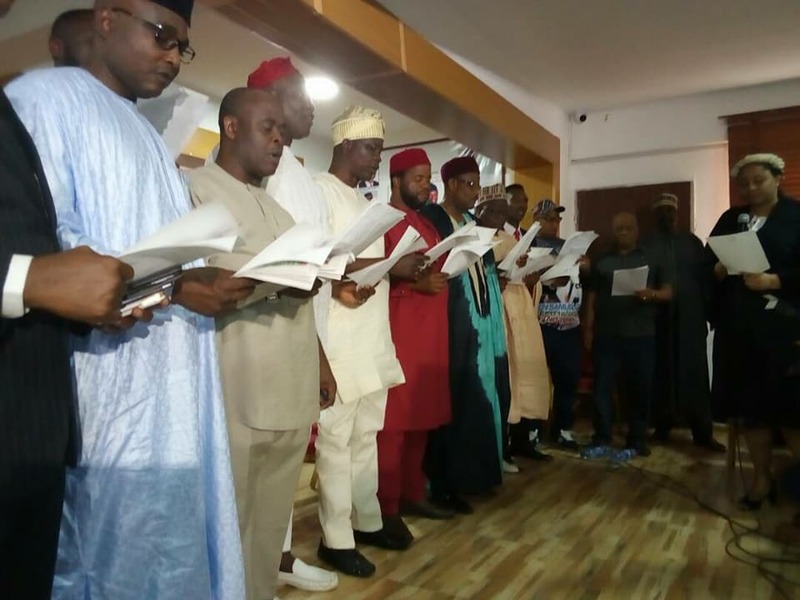 Photos: APC inaugurates 33 state Chairmen – Royal Times of Nigeria. About 33 elected chairmen of the All Progressive Congress, APC party, have been inaugurated by the Chief John Odigie-Oyegun led National Working Committee, NWC, of the ruling All Progressives Congress, APC. The Inauguration ceremony took place today at the National Secretariat of the All Progressive Congress, Abuja, as scheduled.